For my kind of riding I’ve not been a great fan of tankbags. 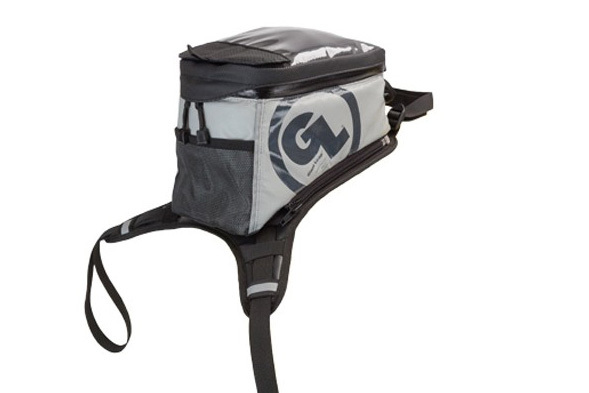 When you get off the bike it’s another thing to unclip and lug around with you, along with your lid. 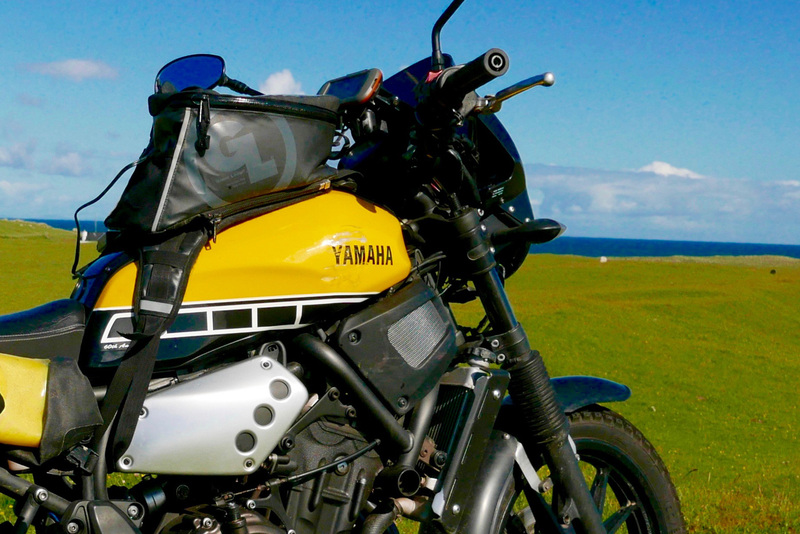 For the stuff you can’t afford to lose I find a backpack like Kriega’s R15 more functional – it stays with you on or off the bike. Fyi: I bought this Fandango Pro used off ebay for £35. 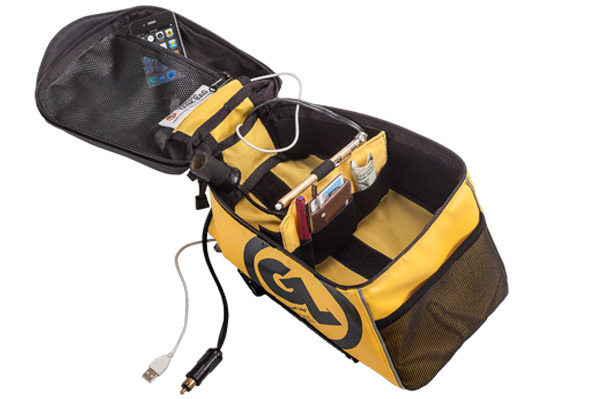 Fandango Tank Bag PRO™ (8 litres) represents a major upgrade of Giant Loop’s largest, most popular tank bag. Expandability, electronics compatibility, and features driven by rider feedback inspire this adventure-proof state-of-the-art design. I like to try new stuff, or up to a point, retry ideas I’ve given up on. Once I strung some high-end Rova-Flex zip ties round the frame and headstock the Fandango perched securely on my WR’s big IMS tank. It stayed there for a month, zipped off every 4-500kms to refill the tank, or right off when overnighting in lodgings. 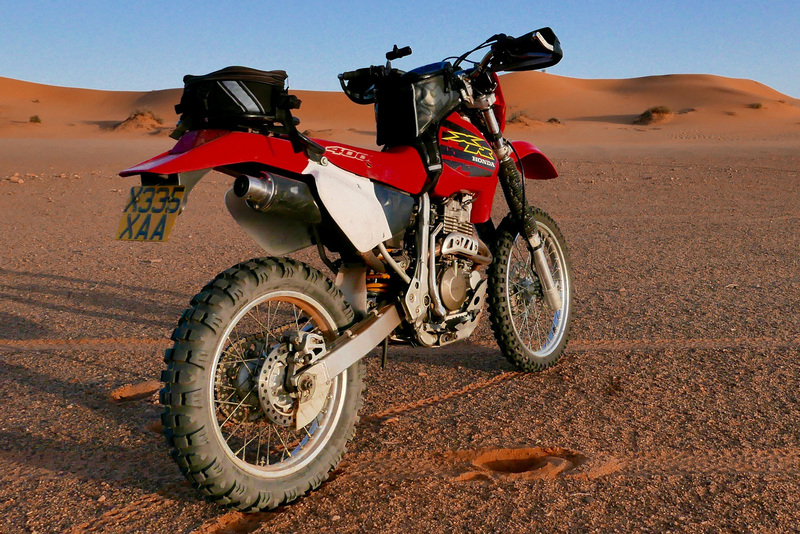 Since then I used it on an XR400 in Algeria, on my XScrambleR 700 in Morocco and on my Himalayan. The volume is just right for me, though the map pocket’s surface area os a bit small. 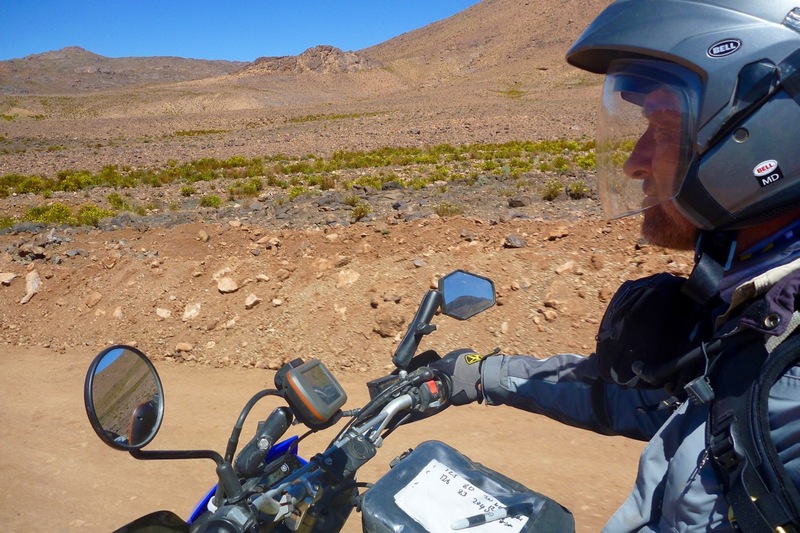 It closes with a velcro patch, but that wasn’t enough to stop my vital notebook falling out while battling through a oued on the Western Sahara border. Going back to look for it was just ‘too hot, too hard, too far’, to paraphrase GL’s motto. Make sure you velcro down well, especially with toll-highway tickets. The back mesh pocket was great to whip out my P&S camera on the move, and inside under the top is a nifty hidden zip pocket, but it’s starting to fray. There’s another under the base (may get wet) and inside the body is a velcro divider I have no use for as the bag is not that big. I just stuff in what’s needed. There’s a port to let a cable out so your phone can recharge, and they’ve neatly addressed securing the loose ends of the harness to eliminate flapping. As expected, the zips can be a pain some days. It takes just a few seconds of fiddling to get them to hook up, but I got things to do and places to ride! I’d prefer clips. The breather hose from my WR’s fuel cap didn’t get affected by the bag pressing on it, and lightly loaded as it was, the sat stayed in place over rough terrain. 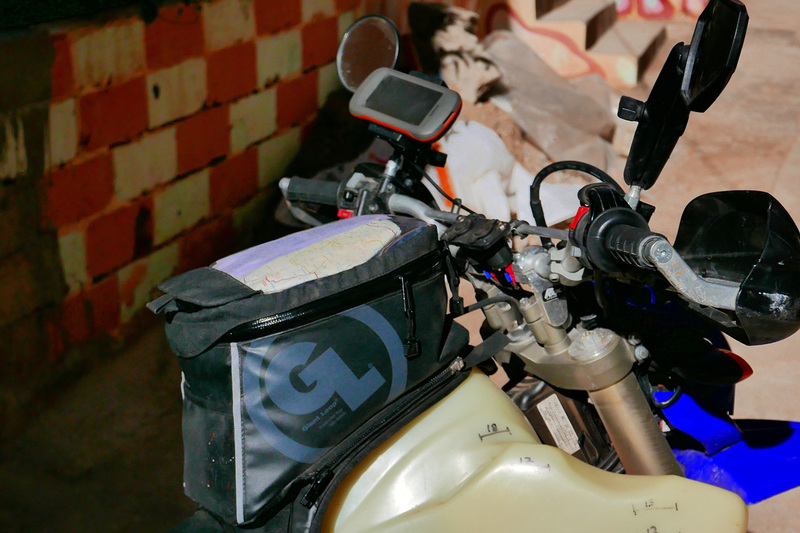 Once the harness is on the bike, it will be nice to ditch the backpack and just use the ‘dango like a small top box as it’s been a dead handy accessory on my trips. Lately I’ve fitted it to my Himalayan where it sits nicely with some more Rova-Flex zipped round the frame tubes. Only this time I’ve taped some tape to the tank top to stop the base vinyl from scuffing the pristine white paint. 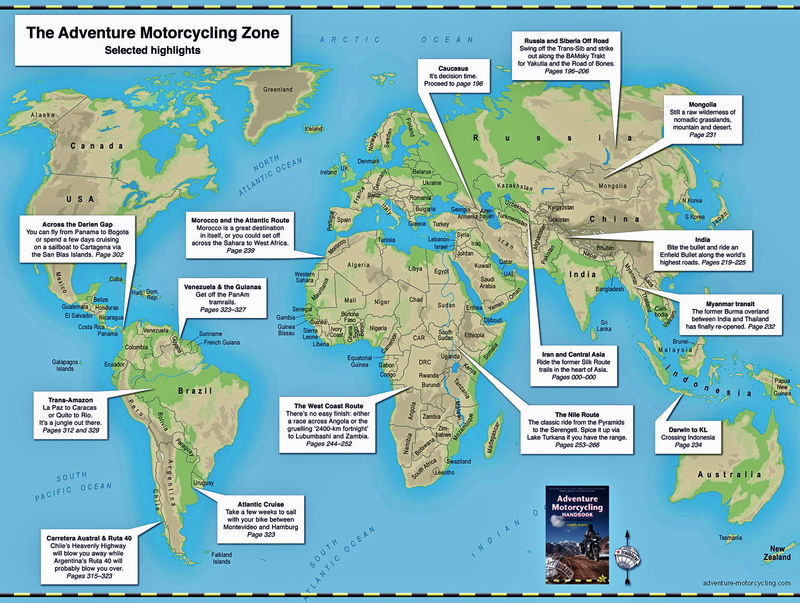 Just remember all this goodwill is based on the great price I paid for it used, though I see it’s dropped by some 25% or more at Adventure Spec. 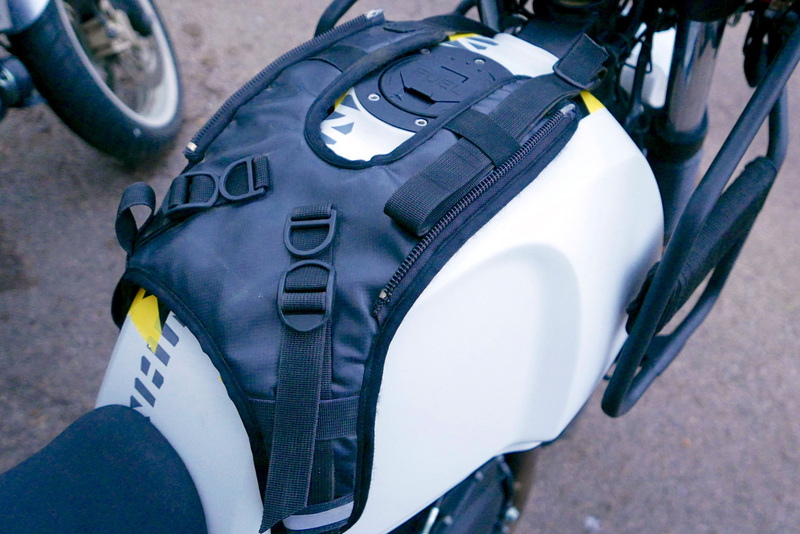 Welcome back tank bags. 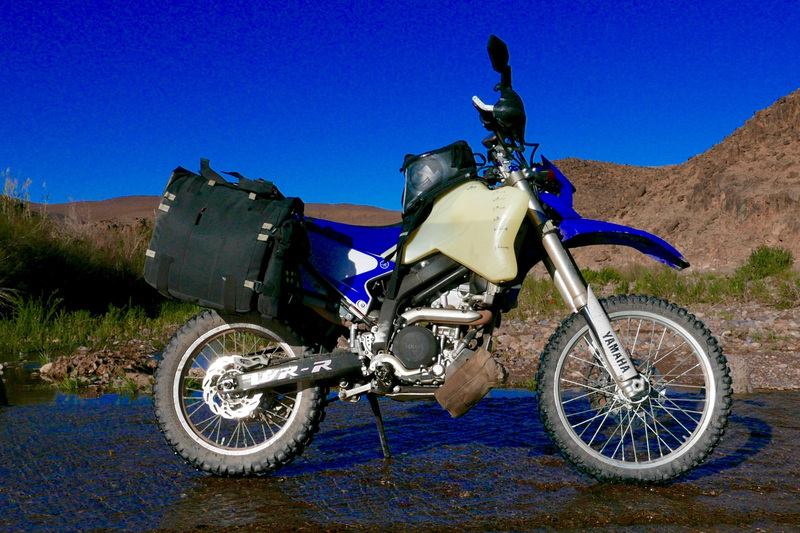 This entry was posted in Adventure Motorcycling Gear Reviews, Luggage and tagged giant loop, Giant Loop Fandango PRO Tank Bag, Giant Loop’s Fandango PRO review, Luggage, tank bags. Bookmark the permalink.